The 6th Annual World Quality Month is set to begin in just a few weeks. As in prior years, the mission of World Quality Month is to bring together the global quality community and help raise awareness of the vital importance of quality. The 2015 World Quality Month website and will continue to be updated with new content, events, story submissions, and much more now through November. This is your one-stop resource for trusted event planning information as well as new ideas for 2015 such as the World Quality Month Proclamation, ready to be filled in and signed by a local dignitary. Versions in other languages are currently being developed. Remember, in October you can submit ideas about the future of quality to ASQ on Facebook (contest hashtag is #quality2030). See the complete contest rules on the World Quality Month site. Prizes for the top three entries include a variety of World Quality Month coffee mugs, magnets, notebooks, luggage tags, and a World Quality Month jigsaw puzzle. Entries must be received by October 30. Everyone can vote for the contest finalists from November 9 to noon on November 20. Also on the World Quality Month site, you can also request a free World Quality Month magnet through October 19 (extended to October 23 or as long as supplies last). These are a great way to raise awareness of the event or events in your organization and start conversations. Other things you can do in October, especially if you work in an organization: Hang World Quality Month posters in visible locations. Work with your marketing, communications, or public relations department to send the news release created in September about World Quality Month to the media. Begin to promote your organization’s main event or events internally. Create event-related posters to hang around the building. Be sure to include information in your internal newsletter and on the intranet. Send invitations for events (via email or internal newsletter or through internal mail, etc.). See the World Quality Month Celebration Guide for details and more ideas. There’s a lighter side to World Quality Month! Start sharing one of the fun facts from the quality trivia fact sheet each day with your colleagues or add a new fact each morning to your email signature. 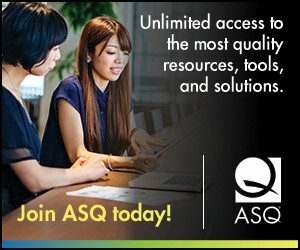 As always, you can submit quality-themed events taking place now through November to the World Quality Month calendar. We also invite you to see the World Quality Month guidelines and submit your quality success stories.